Why Do I Need a Pour-Over Will if I Have a Florida Trust? You often hear estate planning lawyers–including us–talk about the benefits of using a revocable living trust. The main advantage is that any assets placed in your trust do not need to go through the probate process. That is to say, those assets do not pass under your will, but rather are subject to the terms of your trust. Does this mean you can dispense with the will entirely if you have a Florida trust? Not exactly. You still need to have a will, specifically what estate planning lawyers commonly refer to as a “pour-over” will. Essentially, a pour-over will transfers any remaining probate assets you might own at the time of your death to your trust. Put another way, a pour-over will is a will that names your trust as the sole beneficiary of your probate estate. Assets covered by the pour-over will is therefore still required to go through the Florida probate process, but the ultimate distribution is still controlled by the terms of your trust, which remains private and outside of probate. So why is a pour-over will necessary? Because no trust is perfect. Indeed, too many Florida residents create trusts but then never bother to fund them with their assets, which renders the trust useless. But even when you are careful to fund your trust–signing a new deed to your house, re-titling any bank and brokerage accounts, et al.–there are always assets that get missed. In many cases the “leftover” assets are relatively minor, but they still need to be disposed of through the probate process if they are not titled in the name of your trust. There are also certain tasks that must be accomplished through a will as opposed to a trust. Notably, if you have minor children, you need a will to nominate guardians to care for them until they reach the age of 18. A will also names an executor for the overall probate estate. This is the person who is actually responsible for opening the probate estate and transferring any assets to the trustee. Despite the fancy-sounding name, a pour-over will is prepared and executed the same way as any other last will and testament in Florida. The document should be typewritten and signed by you in the presence of at least two witnesses. And if for any reason you later decide to revoke your trust, you should prepare a new will to reflect the fact you no longer have a trustee. 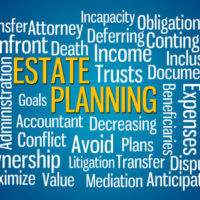 You should also work with an experienced Fort Myers estate planning lawyer when preparing a trust or pour-over will. At the Kuhn Law Firm, P.A., we will sit down with you and review your specific estate planning needs. Call us at 239-333-4529 to schedule an initial consultation with a member of our team today.